C.D. VILLA BUITRAGO DEL LOZOYA C.F. ALALPARDO "B"
C.D.SERRACINES C.D. SPARTAC DE MANOTERAS "C"
UNION DEPORTIVA TRES CANTOS "B" C.D. MASRIVER "B"
C.F. VALDEOLMOS E.M.F. ATLETICO ALGETE C.D. C.F. FUENTE EL SAZ JARAMA RACE "B"
C.F. ALALPARDO "B" C.D. CARRANZA "B"
C.D. PEDREZUELA LA MORALEJA C.F. "B"
E.M.F. ATLETICO ALGETE C.D. UNION DEPORTIVA TRES CANTOS "B"
C.D. GUADALIX DE LA SIERRA C.F. ALALPARDO "B"
LA MORALEJA C.F. "B" C.D. SPARTAC DE MANOTERAS "C"
C.D. MOLAREÑO C.D. MASRIVER "B"
C.D.SERRACINES E.M.F. ATLETICO ALGETE C.D. UNION DEPORTIVA TRES CANTOS "B" JUVENTUD SANSE "B"
C.F. VALDEOLMOS JARAMA RACE "B"
C.D. PEDREZUELA C.D. CARRANZA "B"
C.D. MASRIVER "B" LA MORALEJA C.F. "B"
JARAMA RACE "B" UNION DEPORTIVA TRES CANTOS "B"
C.D. CARRANZA "B" C.D. SPARTAC DE MANOTERAS "C"
C.D. VILLA BUITRAGO DEL LOZOYA C.D. MASRIVER "B"
LA MORALEJA C.F. "B" E.M.F. ATLETICO ALGETE C.D. C.D. MOLAREÑO JUVENTUD SANSE "B"
C.D. PEDREZUELA C.F. ALALPARDO "B"
C.D. MASRIVER "B" C.D. CARRANZA "B"
JUVENTUD SANSE "B" LA MORALEJA C.F. "B"
C.F. VALDEOLMOS UNION DEPORTIVA TRES CANTOS "B"
C.F. ALALPARDO "B" C.D. SPARTAC DE MANOTERAS "C"
C.D. GUADALIX DE LA SIERRA C.D. MASRIVER "B"
C.D. CARRANZA "B" E.M.F. ATLETICO ALGETE C.D. C.D. VILLA BUITRAGO DEL LOZOYA JUVENTUD SANSE "B"
LA MORALEJA C.F. "B" JARAMA RACE "B"
C.F. FUENTE EL SAZ UNION DEPORTIVA TRES CANTOS "B"
C.D. MASRIVER "B" C.F. ALALPARDO "B"
JUVENTUD SANSE "B" C.D. CARRANZA "B"
C.D. VALDEAVERO LA MORALEJA C.F. "B"
C.D. PEDREZUELA C.D. SPARTAC DE MANOTERAS "C"
U.D VELLON VENTURADA C.D. MASRIVER "B"
C.F. ALALPARDO "B" E.M.F. ATLETICO ALGETE C.D. C.D. GUADALIX DE LA SIERRA JUVENTUD SANSE "B"
C.D. CARRANZA "B" JARAMA RACE "B"
C.D. MOLAREÑO UNION DEPORTIVA TRES CANTOS "B"
JUVENTUD SANSE "B" C.F. ALALPARDO "B"
C.D. VALDEAVERO C.D. CARRANZA "B"
UNION DEPORTIVA TRES CANTOS "B" LA MORALEJA C.F. "B"
C.D. SPARTAC DE MANOTERAS "C" C.D. MASRIVER "B"
C.D. PEDREZUELA E.M.F. ATLETICO ALGETE C.D. U.D VELLON VENTURADA JUVENTUD SANSE "B"
C.F. ALALPARDO "B" JARAMA RACE "B"
C.D. VILLA BUITRAGO DEL LOZOYA UNION DEPORTIVA TRES CANTOS "B"
E.M.F. ATLETICO ALGETE C.D. C.D. SPARTAC DE MANOTERAS "C"
C.D. VALDEAVERO C.F. ALALPARDO "B"
UNION DEPORTIVA TRES CANTOS "B" C.D. 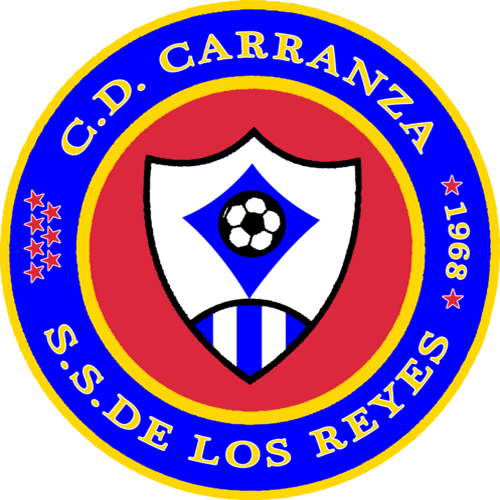 CARRANZA "B"
C.D. MOLAREÑO LA MORALEJA C.F. "B"
C.D. MASRIVER "B" E.M.F. ATLETICO ALGETE C.D. C.D. SPARTAC DE MANOTERAS "C" JUVENTUD SANSE "B"
C.D. PEDREZUELA JARAMA RACE "B"
C.D. GUADALIX DE LA SIERRA UNION DEPORTIVA TRES CANTOS "B"
C.F. FUENTE EL SAZ LA MORALEJA C.F. "B"
JUVENTUD SANSE "B" C.D. MASRIVER "B"
JARAMA RACE "B" C.D. SPARTAC DE MANOTERAS "C"
UNION DEPORTIVA TRES CANTOS "B" C.F. ALALPARDO "B"
C.D. MOLAREÑO C.D. CARRANZA "B"
E.M.F. ATLETICO ALGETE C.D. JUVENTUD SANSE "B"
C.D. MASRIVER "B" JARAMA RACE "B"
U.D VELLON VENTURADA UNION DEPORTIVA TRES CANTOS "B"
C.D. 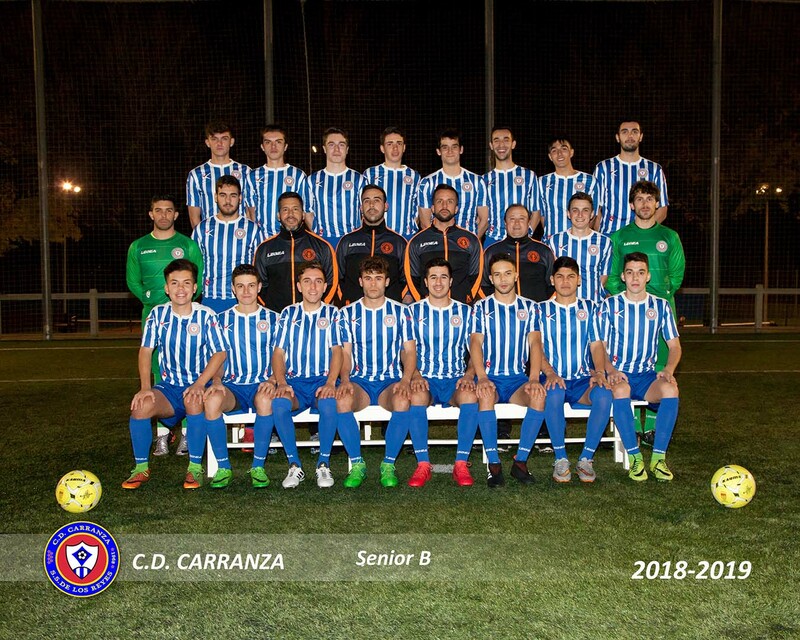 CARRANZA "B" LA MORALEJA C.F. "B"
C.F. FUENTE EL SAZ JUVENTUD SANSE "B"
JARAMA RACE "B" E.M.F. ATLETICO ALGETE C.D. C.D. VALDEAVERO C.D. MASRIVER "B"
C.F. VALDEOLMOS C.D. SPARTAC DE MANOTERAS "C"
C.D. MOLAREÑO C.F. ALALPARDO "B"
C.D. VILLA BUITRAGO DEL LOZOYA C.D. CARRANZA "B"
JUVENTUD SANSE "B" JARAMA RACE "B"
C.D. SPARTAC DE MANOTERAS "C" UNION DEPORTIVA TRES CANTOS "B"
C.F. ALALPARDO "B" LA MORALEJA C.F. "B"
C.D. GUADALIX DE LA SIERRA C.D. CARRANZA "B"
U.D VELLON VENTURADA LA MORALEJA C.F. "B"
C.D. MASRIVER "B" UNION DEPORTIVA TRES CANTOS "B"
C.D. VALDEAVERO JUVENTUD SANSE "B"
C.D. CARRANZA "B" C.F. ALALPARDO "B"
C.D. MOLAREÑO C.D. SPARTAC DE MANOTERAS "C"
UNION DEPORTIVA TRES CANTOS "B" E.M.F. ATLETICO ALGETE C.D. C.F. VALDEOLMOS JUVENTUD SANSE "B"
C.D. VALDEAVERO JARAMA RACE "B"
U.D VELLON VENTURADA C.D. CARRANZA "B"
C.D. SPARTAC DE MANOTERAS "C" LA MORALEJA C.F. "B"
JUVENTUD SANSE "B" UNION DEPORTIVA TRES CANTOS "B"
C.F. FUENTE EL SAZ C.F. ALALPARDO "B"
C.D. VILLA BUITRAGO DEL LOZOYA C.D. SPARTAC DE MANOTERAS "C"
LA MORALEJA C.F. "B" C.D. MASRIVER "B"
C.D. MOLAREÑO E.M.F. ATLETICO ALGETE C.D. UNION DEPORTIVA TRES CANTOS "B" JARAMA RACE "B"
U.D VELLON VENTURADA C.F. ALALPARDO "B"
C.D. SPARTAC DE MANOTERAS "C" C.D. CARRANZA "B"
E.M.F. ATLETICO ALGETE C.D. LA MORALEJA C.F. "B"
C.D. VALDEAVERO UNION DEPORTIVA TRES CANTOS "B"
C.D. GUADALIX DE LA SIERRA C.D. SPARTAC DE MANOTERAS "C"
C.D. CARRANZA "B" C.D. MASRIVER "B"
C.D. VILLA BUITRAGO DEL LOZOYA E.M.F. ATLETICO ALGETE C.D. LA MORALEJA C.F. "B" JUVENTUD SANSE "B"
C.D. MOLAREÑO JARAMA RACE "B"
C.D. SPARTAC DE MANOTERAS "C" C.F. ALALPARDO "B"
E.M.F. ATLETICO ALGETE C.D. C.D. CARRANZA "B"
JARAMA RACE "B" LA MORALEJA C.F. "B"
U.D VELLON VENTURADA C.D. SPARTAC DE MANOTERAS "C"
C.F. ALALPARDO "B" C.D. MASRIVER "B"
C.D. GUADALIX DE LA SIERRA E.M.F. ATLETICO ALGETE C.D. C.D. CARRANZA "B" JUVENTUD SANSE "B"
C.D. VILLA BUITRAGO DEL LOZOYA JARAMA RACE "B"
C.D.SERRACINES UNION DEPORTIVA TRES CANTOS "B"
E.M.F. ATLETICO ALGETE C.D. C.F. ALALPARDO "B"
JARAMA RACE "B" C.D. CARRANZA "B"
C.F. VALDEOLMOS LA MORALEJA C.F. "B"
C.F. FUENTE EL SAZ C.D. SPARTAC DE MANOTERAS "C"
C.D. PEDREZUELA C.D. MASRIVER "B"
U.D VELLON VENTURADA E.M.F. ATLETICO ALGETE C.D. C.F. ALALPARDO "B" JUVENTUD SANSE "B"
C.D. GUADALIX DE LA SIERRA JARAMA RACE "B"
LA MORALEJA C.F. "B" UNION DEPORTIVA TRES CANTOS "B"
C.D. MASRIVER "B" C.D. SPARTAC DE MANOTERAS "C"
JARAMA RACE "B" C.F. ALALPARDO "B"
C.F. VALDEOLMOS C.D. CARRANZA "B"
C.D.SERRACINES LA MORALEJA C.F. "B"
C.F. FUENTE EL SAZ C.D. MASRIVER "B"
C.D. SPARTAC DE MANOTERAS "C" E.M.F. ATLETICO ALGETE C.D. C.D. PEDREZUELA JUVENTUD SANSE "B"
U.D VELLON VENTURADA JARAMA RACE "B"
C.D. CARRANZA "B" UNION DEPORTIVA TRES CANTOS "B"
E.M.F. ATLETICO ALGETE C.D. C.D. MASRIVER "B"
JUVENTUD SANSE "B" C.D. SPARTAC DE MANOTERAS "C"
C.F. VALDEOLMOS C.F. ALALPARDO "B"
C.F. FUENTE EL SAZ E.M.F. ATLETICO ALGETE C.D. C.D. MASRIVER "B" JUVENTUD SANSE "B"
C.D. SPARTAC DE MANOTERAS "C" JARAMA RACE "B"
C.F. ALALPARDO "B" UNION DEPORTIVA TRES CANTOS "B"
C.D. VILLA BUITRAGO DEL LOZOYA LA MORALEJA C.F. "B"
JUVENTUD SANSE "B" E.M.F. ATLETICO ALGETE C.D. JARAMA RACE "B" C.D. MASRIVER "B"
C.D. VALDEAVERO C.D. SPARTAC DE MANOTERAS "C"
LA MORALEJA C.F. "B" C.D. CARRANZA "B"
E.M.F. ATLETICO ALGETE C.D. JARAMA RACE "B"
C.D. PEDREZUELA UNION DEPORTIVA TRES CANTOS "B"
C.D. GUADALIX DE LA SIERRA LA MORALEJA C.F. "B"
JARAMA RACE "B" JUVENTUD SANSE "B"
C.D. VALDEAVERO E.M.F. ATLETICO ALGETE C.D. C.F. VALDEOLMOS C.D. MASRIVER "B"
UNION DEPORTIVA TRES CANTOS "B" C.D. SPARTAC DE MANOTERAS "C"
LA MORALEJA C.F. "B" C.F. ALALPARDO "B"
C.F. FUENTE EL SAZ C.D. CARRANZA "B"